Look Back in Anger | Seongnan Eolgullo Dolabola (KBS2 / 2000) - Lead Det. NIGHTLIGHTlover Dec 17 2016 9:30 pm I love this guy from winter sonata and autumn in my heart and now hes still acting! YAASSS NIGHT LIGHT FIGHTING!!! nia Jun 16 2015 1:01 am dunno why this guy always play as bad guy...?! erinu Sep 03 2014 4:30 pm lmao whenever i see him in anything he's always sitting angrily in a chair, but he sure does play the bad guy well. i mean every time i see him i want to punch him right in the face. props. yeyeye Jun 21 2014 12:36 am a very convincing villain. i hated him on the heirs and now i hate him even more in you're all surrounded. but to be precise I seriously wanted to punch his face on the drama you're all surrounded. Gosh he's really really convincing. Lee Jun 28 2013 7:18 pm Terrific actor. He was a great villain in "nine : nine times time travel". JaeJoongcraziestfan Jun 17 2013 11:52 pm OMG YOU'RE IN EVERYTHING!!!! 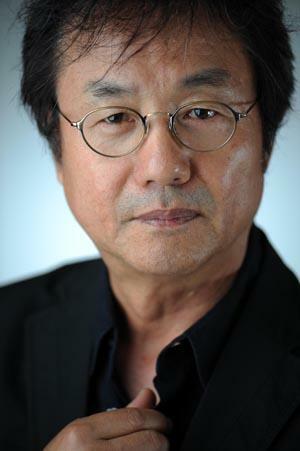 GREAT ACTOR... liked you most in Spring Waltz..
Cha Jun 16 2013 9:37 pm I love the characters he plays. Where can I write to him? LoonyLizard Sep 24 2011 6:43 pm I'm pretty sure he had a cameo in "Pasta" as Chef's Chef. Am I wrong in this?